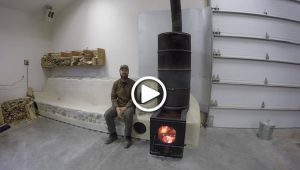 Join ABC acres, a Permaculture Farmstead in Hamilton, MT as we show our rocket mass heater that keeps the workshop nice and warm through the cold months of the year, while using far less wood and creating next to NO SMOKE! 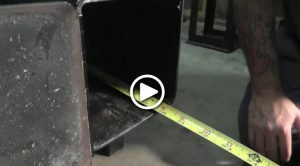 Due to overwhelming interest and questions we received on the previous video of our rocket stove, we thought we would go ahead and make another video explaining how it was built by giving the measurements and materials used, in hopes that it will answer a lot of people's questions. 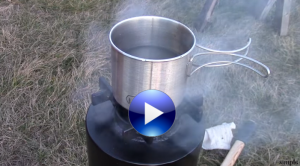 Thank you to everyone that liked and commented on the last rocket stove video. We really really appreciated all the positive feedback on the stove. Please feel free to contact us if you still have any further questions. We will try to answer them as best as we can. 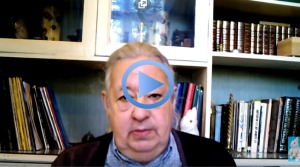 Thanks again and hope this video helps. 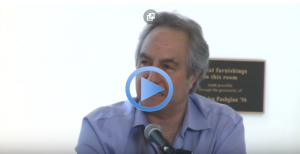 Possibly the most enabled use of the science of rocket mass stove technology. 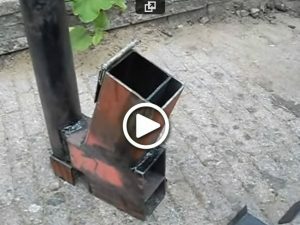 Rocket stove (heater) on steroids part 2. Possibly the best in design for efficiency. A project I've wanted to do for several years and finally got around to it. Works well, and it produces a lot of heat for very little fuel used. 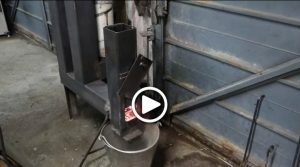 In this video I show the details of a rocket stove heater I made from two gas bottles and other recuperated materials. 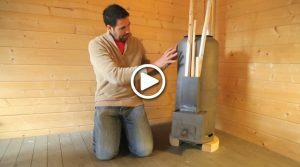 My challenge was to spend as little money as possible and to make an aesthetic and efficient heating system that could be put in a wood cabin. I spent $20 to make this stove (a piece of inox piping for the heat riser, some welding sticks, grinding disks and some paint). This does not include the driving around finding bits and pieces nor the chimney exhaust pipe. This heater gives off amazing heat, its potential is by far underused It would be the perfect system to use as a mass heater. When the burn chamber is hot, there is no smoke at the outside chimney outlet. Also creates very little ash. Metering the wood is important, that is cutting wood to a certain thickness and length. When alight the stove does require attention from time to time. 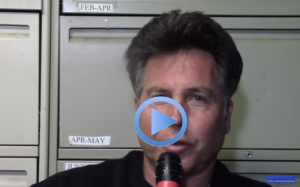 Like I say in this video the outside air intake is a must, as it avoids cold air currents in the room or if the room is well sealed it avoids depleting the room of oxygen ! Like all home made rocket stoves, each stove has its own personality ! So it takes some trial and error to get to know the stove and how it works best.